Using performance management software once a year won't do the trick! One of the most important aspects of performance management is that it’s consistent. If you are going to invest in performance management software and use it once a year, forget it! What’s the point? You wouldn’t set a sales or financial budget or target at the start of the year and expect to meet it without checking in regularly to monitor its progress. For some reason we tend to do this with people management and more specifically, when using performance management software. Instead, we need to be embedding performance management software all year-round for it to be effective. Countless organisations spend time at the start of the year setting objectives on paper or using performance management software and then forget about them until appraisal time. It’s no surprise that the objectives often set are no longer relevant to the situation! An individual has been doing their day job, which may or may not align with those objectives set at the very start of the year. To ensure that these objectives are reviewed and not forgotten about, we need to be embedding Performance Management Software all year-round. Easier said than done? Why not watch our video which covers the topic of Embedding Performance Management Software all year-round or carry on reading for useful tips! Objectives are like the compass that keeps the individual and the organisation aligned (you can read more about aligning and cascading objectives here).They give the individual and the role purpose, and should inform day-to-day activities and be relevant and up-to-date. The best way to do this is through instilling a management culture of regular 121’s, perhaps monthly. These 121’s provide time to take stock for both the employee and manager, and keep a sense of momentum throughout the business year. This is Performance Management in the truest sense of the word. You can read more on 121’s in our Manager’s Guide here: 7 Simple Steps to One to One’s. 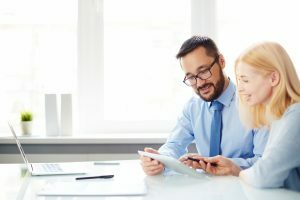 Rather than waiting until year-end to discuss development during appraisal time, we recommend having a conversation at the end of the first quarter using your performance management software.That way any development needs that could affect performance over the course of the year can be addressed in time to improve results. If you are an organisation that uses ratings then you should really punctuate the year with a 6 month review, giving the individual clarity on where they are heading and to manage expectations. This is a great way of getting people reinvigorated and focused for the back half of the year. Within our Actus Software, we operate career aspirations and talent management conversations as being separate from performance and pay conversations, in order to maximise the engagement value of that discussion. Why not do that at the end of quarter 3? Then, carry on your 121’s and by the time you have reached the end-of-year appraisal doesn’t need to be the 3 hour epic that everyone dreads: it simply pulls everything together, and formalises the discussions that you have been having all year -round. Easy! Actus performance management software is unlike other systems as it has been designed to embed a year-round performance management culture rather than just automate a paper-based approach. For more information and to book a demo, click on the button below.